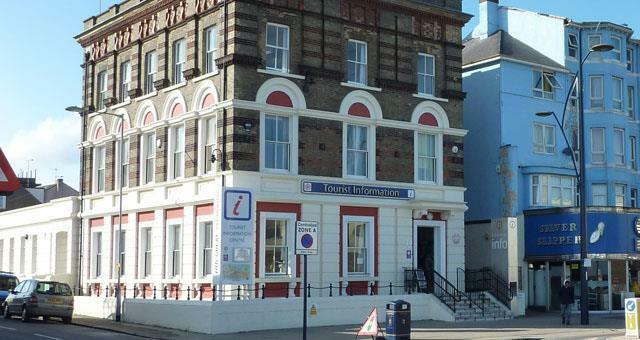 Great Yarmouth Tourist Information Information CentreGreat Yarmouth Tourist Information Centre is on Marine Parade, opposite the Marina Centre, on the seafront. There's easy access if you've got a pushchair or wheelchair, with a ramp to the right of the building leading directly to the front door. Once inside, there's more than enough room for you to get about safely and easily. Talking of tickets, we operate as a ticket agent for a number of local attractions, so you can plan your stay and get your tickets all under one roof. If you're not sure what to do, where to go or where to stay, speak to one of our friendly Tourist Information Centre staff who have a broad knowledge of all that the resort has to offer. They can even book you accommodation if you've come on a spur of the moment break! If you're thinking of booking your holiday now and would like some advice, just give us a call on 01493 846346 and we'll do our best to help. 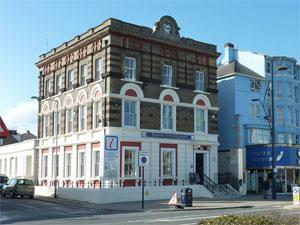 Great Yarmouth Tourist Information Centre is on Marine Parade, opposite the Marina Centre, on the seafront. Beach Wheelchairs available free of charge. On arrival in Great Yarmouth, follow signs to the seafront. At the seafront, turn right and drive along the seafront until you reach the Marina Centre. The TIC is just opposite the Marina Centre. A short stay Pay & Display car park is also opposite the building.